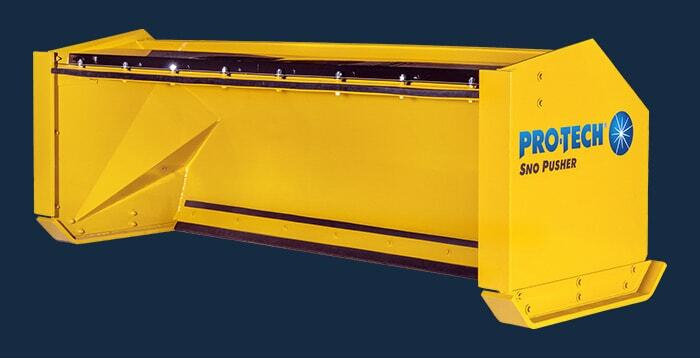 Which Snow Pusher Coupler Is Best For You? 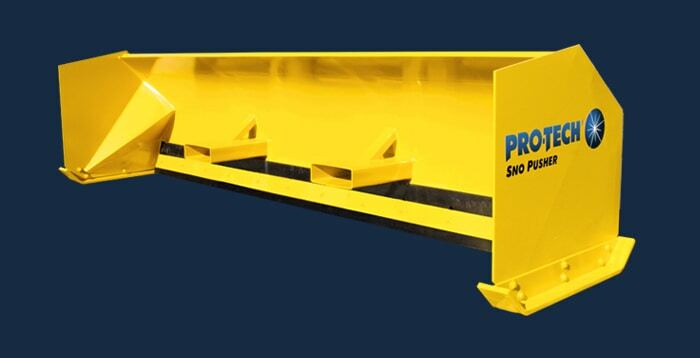 Rigid mount gives operators ability to quickly switch prime movers if necessary. 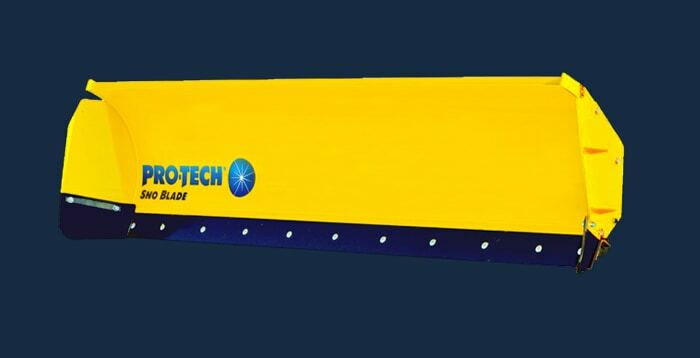 Prime movers need to have same connection style. Which connection option is best comes down to operator preference. Contact Pro-Tech or local dealer with questions. 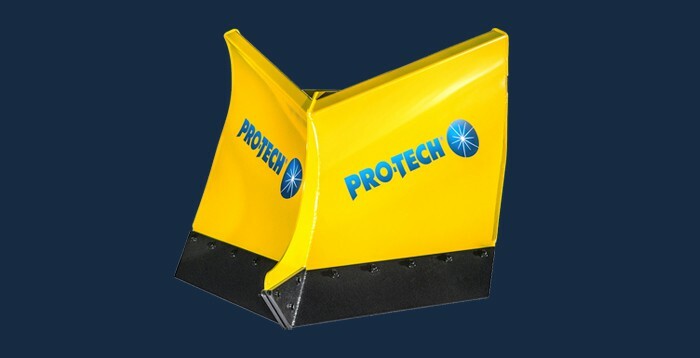 Pro-Tech not only offers customers over 60 snow pusher models to choose from but each snow pusher can be customized with your coupler preference. 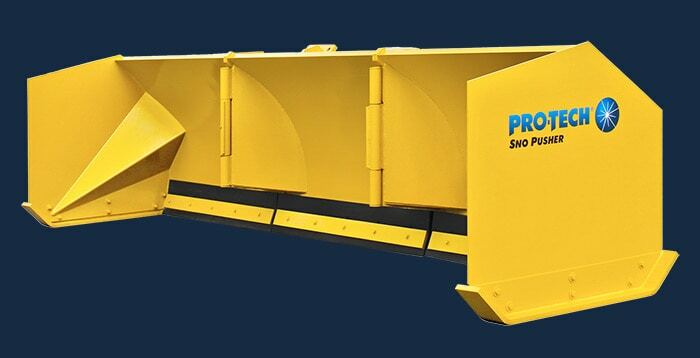 Prime movers such as loaders, backhoes, skid-steers, and tractors connect to the snow pusher either through a rigid mount or post style connection. There are several things that a customer should consider before choosing what style coupler is best for them. A post-style coupler is connected to the snow pusher by the operator positioning the bucket between the posts and securing the connection with a chain and binder kit. 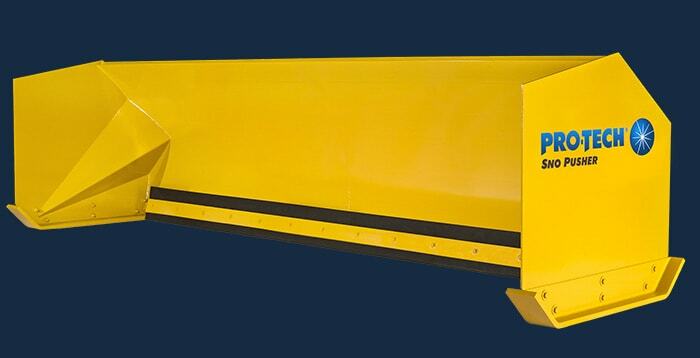 This style connection is predominately found on loader and backhoe snow pusher models. 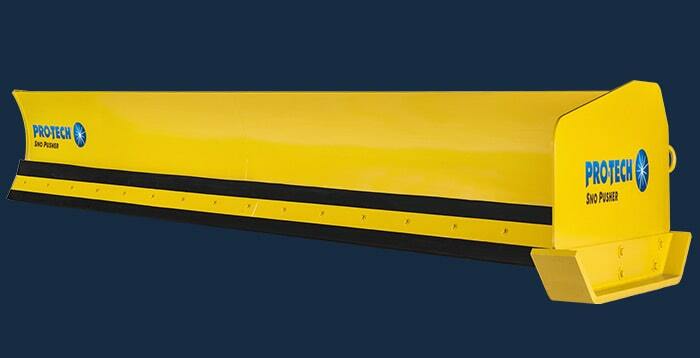 Post connections allow the snow pusher to shift and move with surface irregularities, which can be beneficial for new operators if a curb or other object is hit. The second type of coupler is a direct connection or “quick coupler”. 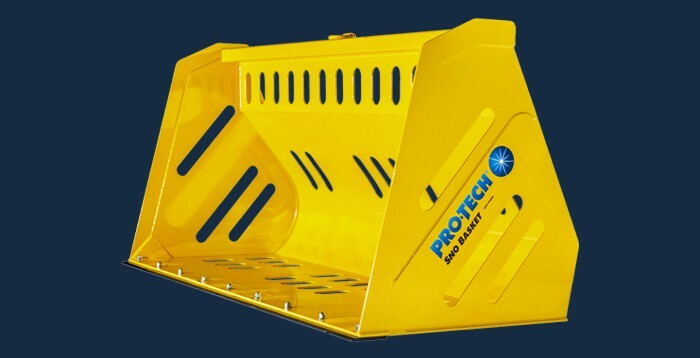 Operators using this connection will remove their prime mover’s bucket (if applicable) and lock into the Sno Pusher’s coupler by engaging their machine’s locking pins. 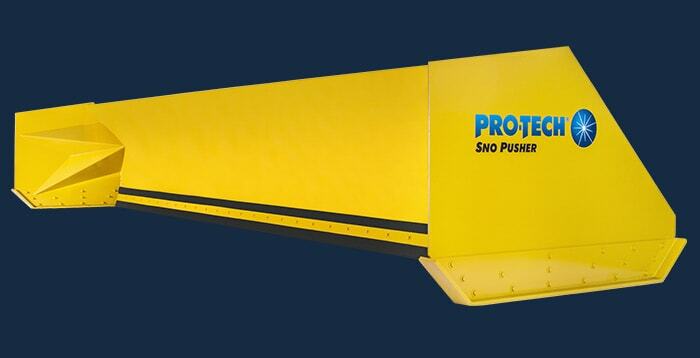 This connection moves the Sno Pusher closer in to the machine and provides a rigid mount. Some operators prefer this style connection because it eliminates the need to manage chain and binder kits. They also feel they have more control over the Sno Pusher during operation. 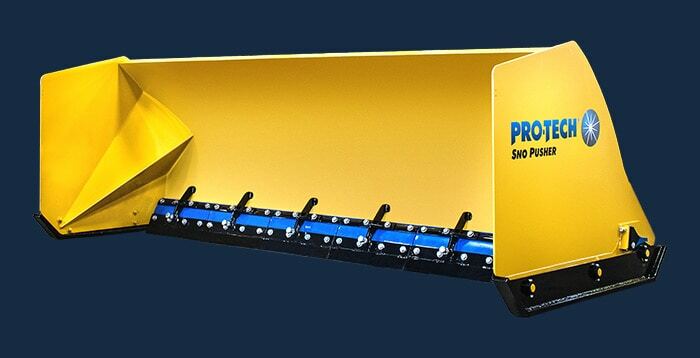 Without the need to remove chain and binder kits operators can also swap prime movers if their machine requires maintenance. The direct connection is commonly found in most skidsteer snow pushers and compact tractor models. 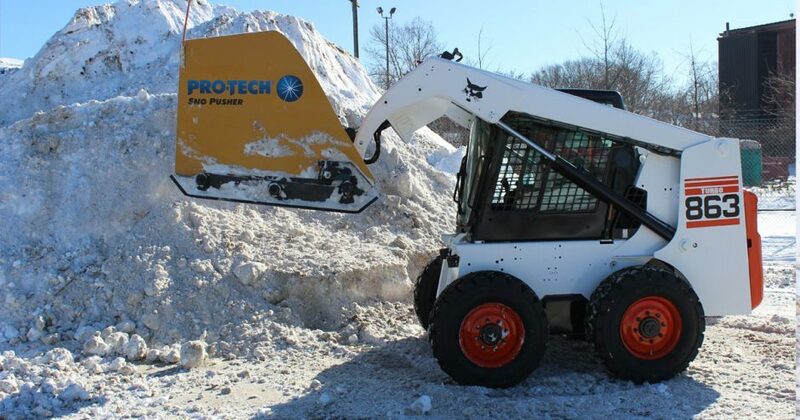 While Pro-Tech Sno Pushers for loaders and backhoes come standard with the post-style connection, direct connection options such as CAT IT/Fusion, JRB, ACS, Euro, universal, and Bucket Clamp are available. 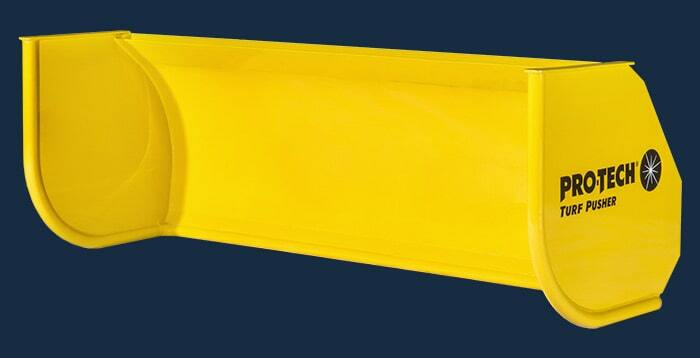 At the end of the day, the best snow pusher coupler style comes down to operator preference. 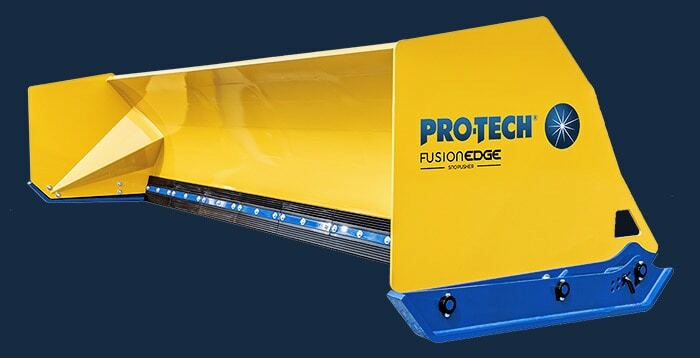 It’s important to speak with your local Pro-Tech dealer on your specific needs and which option you should choose. As always, thank you for using Pro-Tech.